No more being late to meetings, kids waiting at school or angry spouses back home -- not if Google Maps can help it. 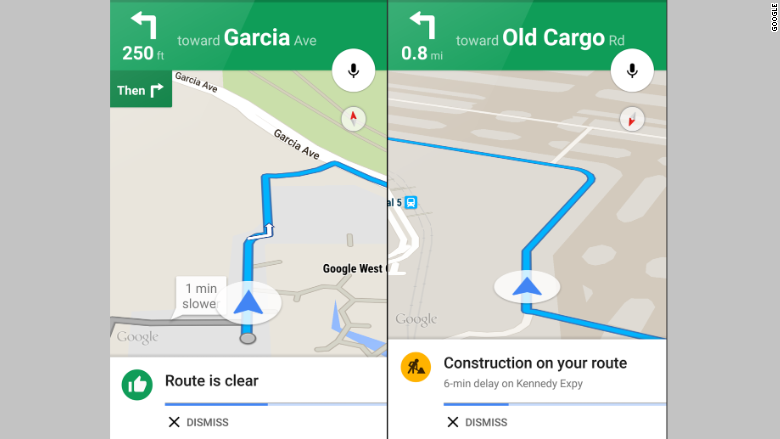 In the latest update for iOS users, Google (GOOG) Maps has learned to show and tell: the app will now use spoken traffic directions when you are about to hit a slowdown ahead. Before you begin your trip, it will give you a verbal summary of traffic conditions. While you're moving, Google Maps will help you avoid tunnels that are overcrowded and highway routes with accidents. The app will speak to you mid-journey to notify you of any incidents that will lengthen your journey, and it will give you the option to reroute. Reminiscent of its secondary community-based navigation app, Waze, Google will heavily integrate real-time information with explanations for what is causing the delays in Maps so drivers will be able to avoid slowdowns more seamlessly than before. This feature has been available to Android users since May.